This wedding season, Tara is offering brides-to-be the chance to see their bouquets through from seed to ceremony. 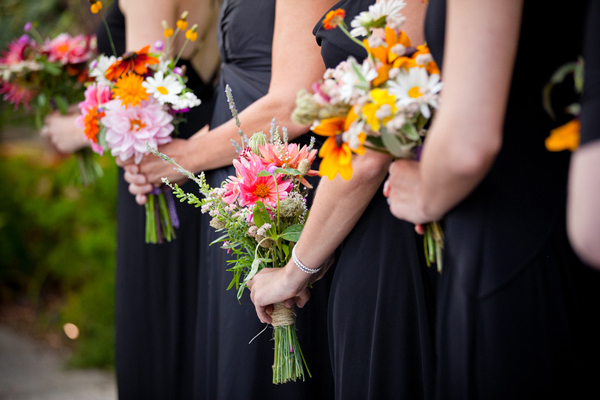 Through her brand-new custom growing program, brides tell her what blooms they want in their bouquet, she sows the seeds just for them, and then harvests the flowers right before the big day. Can you think of anything lovelier? 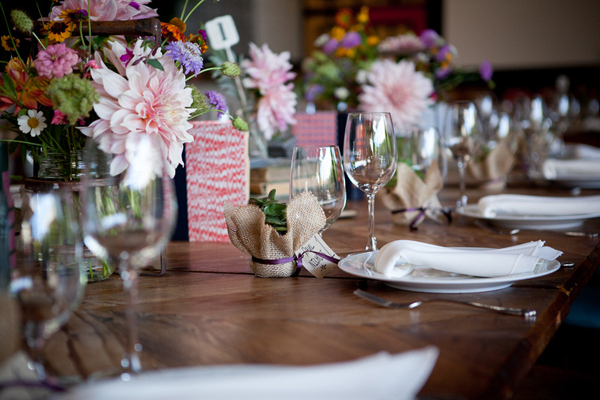 Since your selection is seasonal, what varieties of flowers do you offer for spring and summer weddings? In the spring we start off with very elegant, feminine, country-chic type flowers like sweet peas, anemones, and ranunculus. In late spring and summer we get into the wildflowers and the big bloomers—dahlias, zinnias, straw flowers, sunflowers, yarrow, and Queen Anne’s lace. Toward the end of summer and fall it’s chrysanthemums and berries. I love growing things that are very textural and unusual in color. How far in advance do you plant the seeds for custom wedding florals? It’s about four to five months from sow to harvest right now when the soil is cooler. Once the days start to get longer after January, you’re looking at about a three-month sow to harvest time. 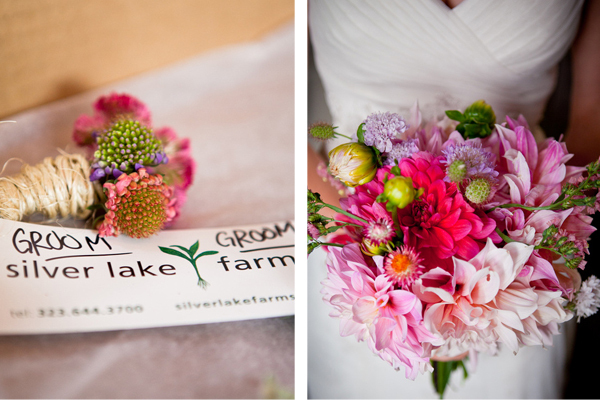 What floral combo would make up your dream bridal bouquet? Café au Lait dahlias, black trebbiano dahlias, and acacia (silver wattle). 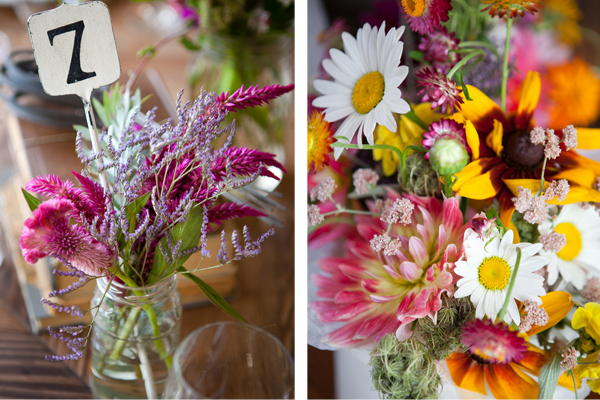 Can you tell us a little bit about why organic, locally grown flowers are important to you? In Los Angeles they’re very hard to find. If you go to the flower market downtown, the vast majority of the flowers there are flown in to the U.S. on cargo planes and are not organically grown. And I think that looking at the carbon footprint of that, brides these days who are anxious to put local, organic food in their bodies should be equally anxious to put organic flowers on the same table. It’s important to me that I eat organic food and that I live an organic life. This entry was posted in Wedding Bells, Weddings + Relationships and tagged bookend events, bridal bouquet, bride, dahlias, decor, florals, flowers, organic, silver lake farms, weddings. Bookmark the permalink.